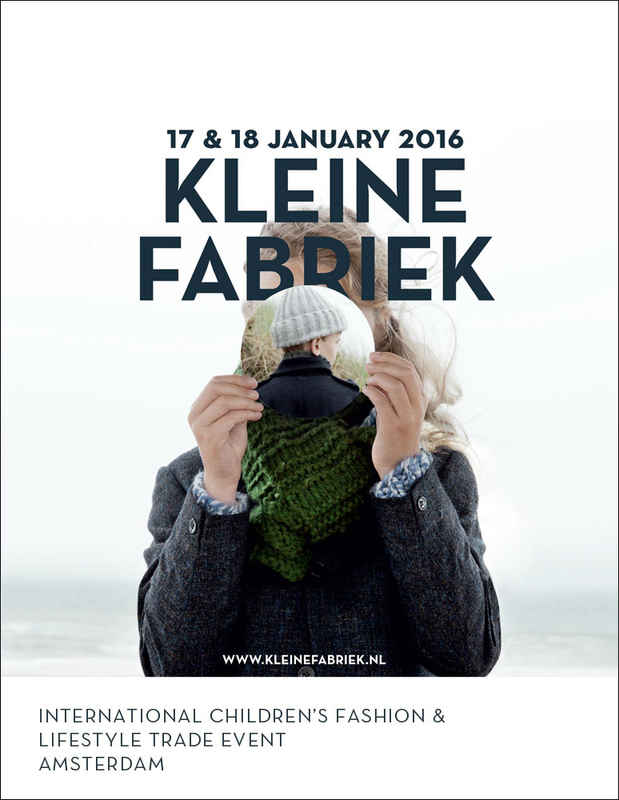 Kleine Fabriek is fully booked with national and international cutting edge brands in children’s fashion and lifestyle and ready for the winter edition on 17 & 18 January 2016 in Amsterdam. Immerse yourself in the most up-to-date and inspiring fashion developments, meet the new generation of industry influencers and take advantage of all the expertise and service present at the event. We’re all in this together! Fashion is a total concept. There’s a good reason that kleine fabriek is called the ‘International Children’s Fashion & Lifestyle Trade Event Amsterdam’. Home & gift has always been an important part and this development continues to unfold. Shops are becoming inspiration planets, a complete experience with all the bells and whistles. New generation brands like 10Days are genuine lifestyle brands that think in terms of a inspiration universe. Other ‘high-identity’ labels are developing gradually, like the Dutch Kidscase, which is expanding its stylish retro cool collection this year with a Home line featuring the same organic quality fabrics. Speaking of quality ‘home textiles’….Koeka will present a fantastic new collection, just as cool brand Fresk with 100% organic cotton and unique brand Louis le Sec. A great newcomer in this segment is Jollein. International favorite Aden and Anais, as well as Cottonbaby, with an utterly complete collection of kids’ linens and textile accessories, are back with a vengeance. What better place to get enticed and inspired than online? But an online presence is not enough these days. Blogs, Instagram and other social media accounts are also becoming increasingly visible in the offline world. Meet the crème de la crème of ‘online influencers’ at kleine fabriek, where you will also find visual surprises in the form of a series of style presentations, like the playful designs from design duo IOIA (Titia Damen and Ionie Chamilaki, see photo). Conversely, the new bookstore at kleine fabriek will highlight a children’s book every week on the @kleinefabriek Instagram account in collaboration with the Amsterdam Children’s Bookstore ‘de Amsterdamse boekhandel that you’ll soon be seeing sold like hotcakes at kleine fabriek! This was once again a sneak preview of what’s to come. kleine fabriek is pulling out all the stops to serve as a major source of inspiration for all those unrelentingly ambitious retailers. Speaking of online/offline… kleine fabriek can also be followed daily at www.kleinefabriek.nl and on its Facebook, Twitter and Instagram pages!